Recent events at Piha have provided a good opportunity for Council to review its preparedness for emergencies. A major storm caused power outages for extended periods of time and then localised heavy rainfall caused flooding in Glenesk Road. Flooding had also occurred there in January after another localised downpour. A more recent heavy rain event caused already nervous residents to fear a repeat although thankfully a third flood did not eventuate. With the effects of climate change becoming more pronounced I regret to say that these sorts of events are going to become more regular. During these emergencies some things worked well. The community response was magnificent. Local fire brigades did what they could to make sure that locals had somewhere to go to for basics such as a wash or a toilet stop. The surf club rescued stranded residents using their boats. Local community groups and individuals volunteered the use of the resources that they had. Council officers volunteered their time to go door to door in some areas to check that each household was ok. The local community facebook pages performed a good job in disseminating information. Bethells Te Henga’s Bukino Faso quality communications infrastructure needs a rethink because in times of crisis reliable communications channels are vital. Overall there was an outstanding community response and many examples of kindness and dedication. Social media assumed an importance I have not seen before. During the near flood event at Piha I was able to receive messages and comments via facebook about the height of the Glenesk River as it rose and then send this onto Civil Defence while attending a meeting concerning Weeds and Pests. Other aspects did not go so well. I have real concerns about the stability and resilience of the power supply to the west particularly to the coastal area. Although the storm was not in the most severe of categories (it was a category two storm with four being the maximum strength) widespread disruption to the west’s power supply occurred. And the interaction between Civil Defence, the emergency services and the community also needs to be checked to make sure that it is optimal. Now that things are settling down it is time to review what happened and what needs to be done to lessen the disruption that will be caused by the next significant storm event. So what do we do so that we are better prepared next time? There has to be a big question as to the resilience of the power network. In my home suburb of Titirangi houses were without power for days on end. I appreciate that the coastal villages posed extra difficulty but Titirangi should not have been that difficult to fix. Undergrounding of power supply has to be a priority. But there does not appear to be the resources to do this. And there appears to be large gaps in Vector’s ability to pinpoint power outages. For the coastal villages such as Piha localised power should be given serious consideration. With enough solar panels and a wind turbine or two combined with an intelligent localised network it could become self sufficient in power and show the rest of the country how it is done. Aotea Great Barrier Island relies on solar power and generators. Maybe Piha should think about doing the same. 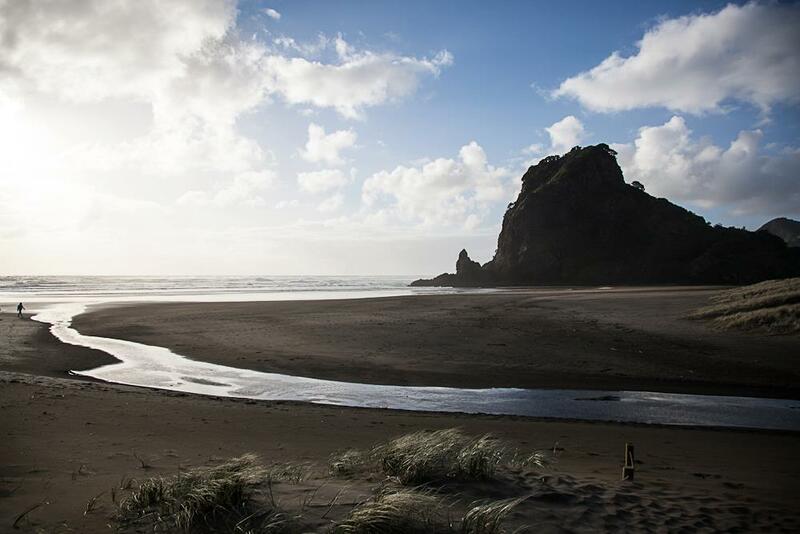 To kick off the discussion the local board invited some Piha and Karekare locals who were heavily involved in the response to a gathering where we asked three simple questions, what worked well, what was the greatest challenge and what can be improved on. These included the Fire Service, the Surf Club, local social media coordinators, the RSA and many others. The meeting was an opportunity for us to listen to and talk with locals. I suspect that the event was cathartic for many and allowed them to process what was a very traumatic event for them, particularly those living in the Glenesk area. It is clear that there are some early practical things that can be achieved. Ensuring that the Piha Surf Club has an emergency power supply is one of them. The community has asked that we collate their responses, incorporate these into the draft emergency response plan that is in existence and then put this out for consultation. This work is under way. I intend to report on progress in relation to this in the near furture. Council last week formally adopted the 2018 Waitakere Ranges monitoring report. This is the second monitoring report and was dedicated to Denise Yates who had a great deal to do with the formation of the Waitakere Ranges Heritage Area Act as well as the preparation of the first report when she was chair of the Board. The Act was an attempt to provide for meaningful protection of the Ranges and to protect against the cumulative degradation and subdivision of the Ranges through conventional RMA processes. At the time it was controversial, caused considerable debate in the community but 10 years on things have settled down and erstwhile opponents are now at peace with the heritage area concept. And people are proud to live in a statutority recognised heritage area. The report is important. It is meant to assess how well the Act is performing, how well Council is going in its statutory obligation to protect and enhance the area, and what threats the area is facing. The document itself is a complex and impressive collation of lots of information. The original focus, subdivision, is working out in my view as intended. Existing subdivision rights are being exercised but growth predictions suggest that once these rights have been exercised there should be no more. Kauri dieback features heavily, thank Council for taking the strong action required to protect this taonga. Te Kawarau A Maki who have provided critical commentary which is included in the report. The Act anticipates that Council will enter into a deed of acknowledgement with Ngati Whatua and Te Kawarau A Maki. Work on this should be a priority and could address TKAM’s concerns. The report is not meant to be a PR exercise. It is to show is what is going right and what needs to be done to make sure that this precious area remains protected. Consultation on this important document is nearing an end. It is our draft list of possible future projects to create walking and cycling tracks throughout the local board area. It is in part a collection of maps showing existing paths and plans that may have existed for many years. They have been collected together in graphical form so that we can have a look at them from a bird’s eye view. This helps us work out where the gaps are and also what the priorities should be. Walkways and cycleways are important because they improve communities, help with health and traffic congestion and they make villages and urban areas better places to be. There are a couple of caveats in relation to the plan. Not all of the supported projects will be built in the near future. There are about 60 different projects in the document. Nine are identified as possible priorities but this will need to be worked through. To give you an idea of what is possible the local board has in the past 6 years built four substantial walkways, the Landing Road stairs, the Rimutaka Walkway, the Henderson Valley walkway and the cycleway from Oratia to Parrs Park. The total cost of these four projects is in the vicinity of $2 to $3 million. And to put this into perspective we currently receive $.5 million per year for capital projects in the road corridor although there is hope that this will be nearly doubled in the near future. The new government has indicated that because of safety and health considerations it will place much greater emphasis on walking and cycling projects and we are hopeful that there will be a lot more central funding so that more of these projects can be built. The second caveat is kauri dieback and the closure of the forest. These plans were completed in August last year and were formally passed in December. We were happy to release these for consultation but certainly tracks through bush areas were going to be much more carefully scrutinised and this is especially so after the forest was closed. The public response has been really good. I was invited to a meeting in Oratia and was slightly bemused not to mention worried that there were a hundred people wanting to talk about the draft. An old walkway through pristine bush that I was happy to rule out was one of the causes. There was also a preference that any infrastructure in the area is sympathetic to the local area. One problem with the Oratia cycleway is that it is white concrete and I agree that better design and more sympathetic infrastructure should be a priority. Carolynne Stone came up with the great idea of getting the community to design new walkways starting with Parker Road. The theory is that they do not need a concrete path along the full strength of the road, rather there are sections that need work and other areas, for instance flat grassed areas which function perfectly well as a walkway. I look forward to receiving their feedback and proposals. This sort of approach could mean walkways that are not only practical and more respectful of the local area but also cheaper. The consultation has now concluded and Auckland Council is to shortly make decisions on its budget for the next ten years. The Board’s One Local Initiative is a plan to enhance Glen Eden township. The plan has a number of aspects to it but the primary advocacy area is the development of a town square using predominately local board resources and the creation of a laneway to join the town square to West Coast Road. This will be augmented by Auckland Transport work to slow down traffic through the village and improve street amenity. The need is because the area is facing fundamental change. Glen Eden is forecast to grow dramatically. Already the train station is a significant driver of activity. The use of Glen Eden Train Station has increased by 40 percent over the past three years, with around 650,000 trips annually. The station is right within the town centre and we want to work with AT to improve the amenity around the train station. The local board has strong support for Central Rail Link delivery in 2024. This is a transformative project. People will be able to get from Glen Eden to the middle of town in about 25 minutes by rail. There is already significant growth because of the existing system and in anticipation of what will happen in the future. The Ted Manson Foundation is currently building two ten story apartment houses within 100 metres of the train station. Housing Corp has a five story apartment house being planned and there are plans for a further apartment house within Glen Eden although I understand plans have stalled. Glen Eden is going to transform from a sleepy pleasant area to a significant transport node with medium and high density housing being common place. This is why the local board believes that our One Local Initiative is so important, so that we can get Glen Eden ready for the future. Glen Eden has been tagged for future development many times and there have been a number of plans prepared in the past. The local board has done what we can with limited resources to try and advance development. For instance we put money from the transport capital fund into design work for AT’s park and ride opened a couple of years ago. The park and ride was important and is very popular. Already there are complaints that it is full. We have also spent $160,000 on design work in anticipation that the Town Square project will proceed. We have tagged the sum of $2.5 million from our own funds to aspects of this project. The response from the consultation suggests that locals are supportive of this project. 81% of respondents fully or partially supported the proposal being a priority and only 18% did not think it was a priority. * We support the proposed regional fuel tax with the caveat that we are concerned about effect on low socio economic groups. Locally 59% of respondents supported the tax with 34% opposing it. The Regional figures were 46% for and 48% opposed. * We support the proposed water quality targeted rate. Locally 77% of respondents supported the tax with 18% opposing it. The Regional figures were 61% for and 33% opposed. * We support “option B plus” plus in relation to the environmental special rate. This would result in a $66 per annual rate increase for the average ratepayer. We supported the enhanced rate so that the regional pest management strategy can be fully funded. The Regional figures were no support for an increased rate 25%, option A ($21 pa) 26%, option B ($47 pa) 29% and other (generally option B plus) 20%. The local equivalent figures were were no support for an increased rate 18%, option A ($21 pa) 18%, option B ($47 pa) 37% and other (generally option B plus) 28%. * In relation to the proposed Rates increase we are concerned that 2.5% may not be enough, particularly given our position regarding the proper funding of the weed and pest strategy. * Continuing advocacy to seek a return to historic levels of funding to be made available for Waitākere Ranges Heritage Area programmes under the local board’s decision-making control. * Funding to deliver aspects of Waitākere Ranges ‘greenways’ plan’ which is intended in part to improve access to public transport. * Funding to progress the now closed Te Henga Quarry to become either a regional or local park. Funding was collected for this purpose by Waitakere City but has disappeared in the amalgamation and we would like it returned. Steve, Saffron and I had the pleasure of attending Laingholm Primary School for its annual Star Wars day which was combined with a very special occasion. Former Mayor Bob Harvey and World renowned photographer and philantropist and philanthropist Ashok Kochhar used the occasion to launch Ashok’s project to give film cameras to some school kids to take photos of their world. The intent is that the children have two months to photograph their world and then return the cameras to their teachers and then the best photographs are sent back to the school for an exhibition. It’s a simple but stunning idea to get children involved in analysing the environment around them and recording it. The work is to be collated and published. I look forward to seeing the result.